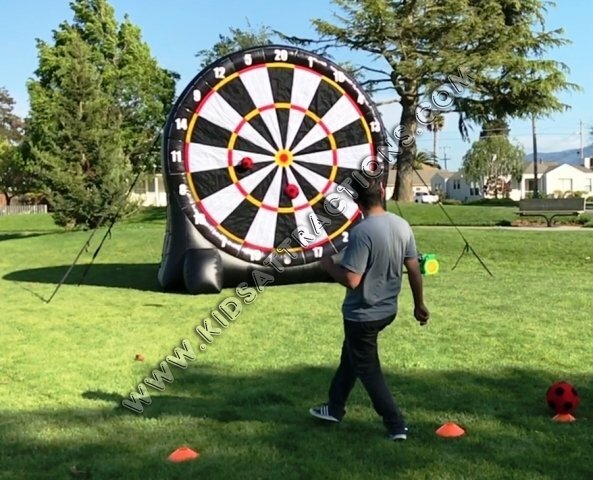 Our Giant Inflatable Velcro Soccer Dart Board game made in the USA is also known as Foot Darts and we have them in stock ready to ship. This Giant Inflatable Velcro Soccer Game comes with 3 velcro soccer balls and stands 16 feet tall. It also has a movie screen on the back side. Blower and stakes not included.